Every patient who has ever been diagnosed with an incurable disease can attest we leave no stones unturned in our quest for better health. During the first few year of dealing with autoimmune illnesses like Ankylosing Spondylitis, Fibromyalgia, Myalgic Encephalomyelitis (also known as Chronic Fatigue Syndrome) and CRPS, I turned to Western medicine and alternative methods to see if I could make my symptoms more manageable or possibly even cure myself. I can’t think of one person I know with a serious autoimmune illness that doesn’t do that. We have nothing but time to seek out different treatments and ideas in order to alleviate our pain, fatigue, and other troublesome symptoms. The problem I’ve run into over the last decade of being chronically ill is that I’m now at the point where I’m tired of moving from specialist to specialist and I’m exhausted with trying new treatments and dealing with new doctors. If you had asked me in May 2015, I was still keen to try new things. Now it’s February 2018 and I’m still as sick as I was back then. I don’t want to waste more of my precious time and energy or my money on trying more alternative treatments to chronic illness. Doesn’t the list below show you I’ve done enough? Floatation therapy? Why would I spend an hour getting to an appointment, an hour getting back, and an hour in an isolation tank floating with my ears in the water and risking an ear infection when I can just set up a tub at home and fill it with the same Epsom salt and magnesium chloride baths that are in these sensory deprivation tanks? If I time my bath right, I can do it at home in peace and quiet and not risk putting my ears in the water and getting an ear infection. Believe me, I haven’t been able to get water in my ears since age 24. All my doctors have cautioned against this. I plug my ears with cotton when I shower. Swimming has been out of the question for years because of my ears. You can read about my troubles with ear infections related to Ankylosing Spondylitis back in 2008. I’m partially deaf in my left ear because of all the infections. Why would I drink Chinese medicinal tea to help bring my body ‘back into alignment’ after trying it for eight months? It made me vomit twice a day throughout the entire time I was taking it with no improvement. My TCM doctor said it takes time. After eight months and no improvement plus a severely weakened stomach, my mom and my husband thought I should stop. And I did, and I’m not interested in going back. You reach a point where you just can’t be bothered with all the quack theories that are out there. It’s like chasing a dream that will never come to anything. Buy this miracle supplement and cure your Ankylosing Spondylitis! Use this wonder cream for $89.99 and cure your Fibromyalgia! Here are the alternative treatments to chronic illness I’ve tried through my own research that DID NOT WORK for me. The Cherry Diet: Because cherries are great for arthritis, right? Wild Lettuce Diet – THIS ONE IS WORKING!!! It has eliminated all my stomach inflammation and bloating. I have been doing this diet under the guidance of Pierre Loisel Sr. His homegrown microbe rich veggies are resetting my gut flora, which in turn is reducing my pain in my GI tract. A bunch of other books I’m forgetting because all I have time to do is sit and read about what could be making me worse. Believe me, many many many books on many diets and many magical cures. The rest are on my Kindle because I got too tired to hold these books up and read. All of these diets can reboot your system and cure you of disease! I’ve yet to meet someone who has had success with just a diet reset. I also bought books by specialists in the fields of Ankylosing Spondylitis and Fibromyalgia, and while I had some success with some of the things mentioned in these books, not all of it worked. It was a huge hit to my wallet after paying for the books and then buying all the supplements and products that are recommended. Some of the suggestions were worth it: SAMe, Ribose-D, Vitamins B and D, and magnesium were all suggested. These supplements are part of my daily routine now. I bought all these books and spent a ton of money and time reading up on nothing that helped me immensely in the long run except for a few things here and there. Jin Shin Jyutsu (Japanese Accupressure) – Yes, I had success with this treatment. My friend suggested it and she was right. It helped a little, but it’s not covered under health insurance and I can’t afford over $150 per treatment every 3-4 weeks. Essential oils – Yes, for all sorts of things like nausea, migraines and sleep: especially peppermint oil, geranium oil, and lavender oil. Air purifying techniques – Yes, indoor plants help from a therapeutic perspective. Moving to a dry desert environment for a few weeks to see if my health improved. It did. Magnesium baths – Yes, one of the best natural remedies I’ve found. I take hot magnesium baths 2-3 times per week. I would rather take a bath than ingest magnesium because it is hard on my stomach. We absorb magnesium just as easily through our skin with no side effects on our stomachs. CBD Oils and Creams – Yes, but I don’t have access to it in Taiwan. Medical Marijuana – Yes, but I don’t have access to it in Taiwan. Kratom – Yes, and it’s here in Taiwan. I use it for pain and sleep. Wild Lettuce – The sap of wild lettuce reduces pain and inflammation in your gut. YES YES YES. Apple Cider Vinegar – This is great for mouth ulcers and sores when your immune system is acting up. It does not cure arthritis, but is sure helps with my mouth, as long as I make sure it’s fully diluted. Straight apple cider vinegar will rip the enamel from your teeth. Art – Because it’s good for your soul and it’s a great distraction technique. Yes, I avoid all 200+ chemical sensitivities as much as possible. We have cleared our home of cleaning agents that make me ill. I can tolerate three types of beer, so I don’t drink much. It’s too hard on my stomach and liver. In any case, I hope this article has done what I wanted it to do. It shows you, my readers, what I’ve been trying for decades. It also demonstrates that despite trying all these things that are so easily recommended by people who do not understand my illness, that not everything works. It isn’t as simple as switching diets or taking more supplements. What it comes down to is pacing and management for your chronic illness. Chronic is chronic. That means it doesn’t stop. And incurable means incurable. That means there is no cure. That was a very moving chronicle of your battle with three serious medical conditions for which allopathic medicine holds no definite cures. It’s good to see how you have taken charge of your own treatment by attempting nontraditional treatments and cures. I liked that you listed all all alternative approaches – especially when you informed us of their effectiveness and price. I can see that your library is pretty extensive and I’m almost embarrassed to ask if you have read Norman Cousins’ Anatomy of an Illness? Cousins, a rather famous journalist, was probably the first person with A.S. to insist that his doctors permit him to take charge of his own treatment in working with the medical establishment. Norman supplemented their allopathic attempts with intravenous vitamin C therapy, laughter therapy (with the aid of rented, hilarious comedies), diet, and a couple of other treatment modalities that I cannot recall . Cousins actually managed to defeat his illness and get off of painkillers. Though he managed to cure himself, some medical professionals disputed his complementary allopathic/alternative approach. One medical professional even went as far as to say that cousins did not really have ankylosing spondylitis, but rather had some form of arthritic condition that was only temporary One medical professional even went as far as to say that cousins did not really have ankylosing spondylitis, but rather had some form of arthritic condition that was only temporary (great hindsight for a big ego). Wow, Karl! Thank you so much! No, I haven’t read that book, and I am looking for it now on GoodReads and Amazon. Thank you so much for the suggestion. I’m thrilled to say that I weaned myself off Prednisone and SSRIs last year that were not helping at all with energy or inflammation or pain. I feel the same as I did when I was on them, so I know I made the right decision. The next step is a new level of medications. Something inside me is saying that because my issues are genetic and hereditary, whatever ends up giving me some quality of life back will likely be a combination of Western medications and alternative treatments. I’ve tried to keep up with the alliterative treatments that I can afford and that I know are doing some good. Diet and magnesium rich baths are right at the top of that list for easy access and they’re both fairly easy on my wallet. Perhaps this book will lend me some more insight. You know how I love books. Thank you so much for the suggestion! 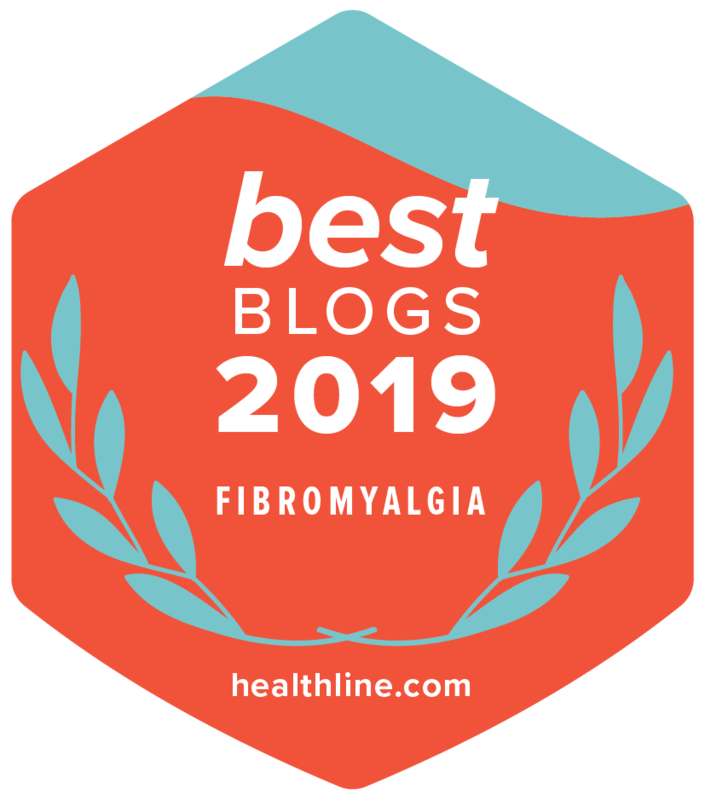 As a fellow fibromyalgia sufferer and therapist who works on fibro folks in the Albuquerque area, I can say that it is so important to stay connected – and share resources. Thank you for sharing your information. Alternative therapies are definitely worth a try. It was through social media that I found out what was causing my fibro. In my case my fibro was triggered by food allergies and cutting out those foods has made a world of difference. I also found lymphatic therapy and Pulsed Electromagnetic Field Therapy to be useful. I personally useElectro-Lymphatic Therapy to keep my lymph moving and Pulsed Electromagnetic Field (PEMF) therapy to help my cells make more ATP (energy). I use these as a practitioner and personally. I would encourage people looking for natural ways to treat their symptoms to check out these therapies with therapists in their respective geographic areas. They’ve made a huge difference in my life and that of the people I work with who share the condition.